This blue bird color, write and draw freebie is from the latest digital download, Bird Color Packet. This activity is perfect for Spring time! 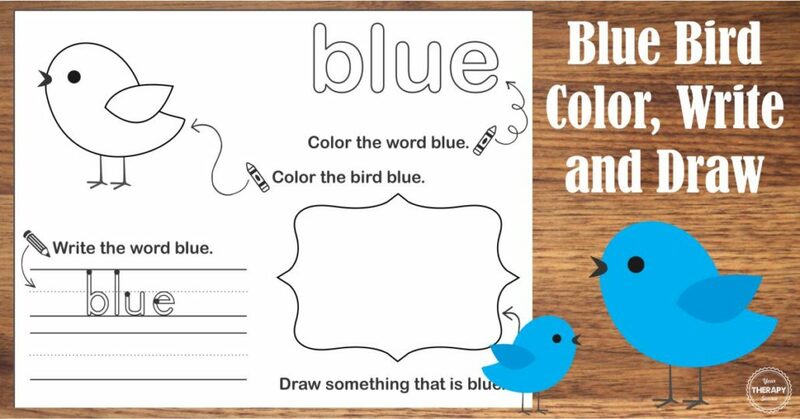 Print out the black and white worksheet and ask the child to color the word blue, color the bird blue, write the word blue and draw something that is the color blue.